EnterWorks, a leading provider of Master Data Management (MDM) and Product Information Management (PIM) solutions, along with Tyson Foods and 1WorldSync, present the Webinar: “To Be, or Not To Be Transparent: Go Beyond The Label With SmartLabel.” The 1WorldSync hosted webinar, which will take place on November 7, 2017 from 3:00 to 4:00 pm EST, will provide a stage for industry leaders to discuss SmartLabel. The SmartLabel program, which was initiated by the Grocery Manufacturers Association (GMA) and leading food & beverage companies, enables shoppers to scan QR codes on products for access to nutritional content and information on thousands of products instantly. 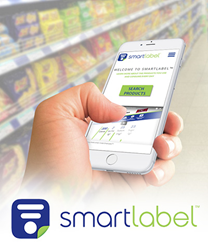 Sign up for “To Be, or Not To Be Transparent: Go Beyond the Label with SmartLabel” webinar here. Why transparency matters – shoppers are more inquisitive about their product choices resulting in a demand for full disclosure to fit personal lifestyle needs and wants. What organizations like Tyson Foods are doing to promote brand loyalty and trust by using real-time technology to share information and understand customer purchase decisions. According to a recent study by 1WorldSync, 78 percent of merchants report that their product content exchange system cannot keep up with enhanced consumer demands for transparency. Consumers today are increasingly active participants in product attribution, while basing their purchasing decisions on information beyond the standards product label, such as ingredient origins and composition. EnterWorks® Master Data Management (MDM) and Product Information Management (PIM) solution enables companies to acquire, manage and transform product information into persuasive content that drives higher sales and new competitive strengths through e-commerce Web, mobile, print and various electronic channels. Services offered include: Master Data Management, Product Information Management, Dynamic Data Modeling, Workflow & Collaboration, Syndication & Publishing, Digital Asset Management, Geographic Localization, Portal Content Exchange, and Digital Channel Accelerators. EnterWorks is highly ranked by various research analysts and used by industry leaders such as: Ariens, Big Rock Sports, CPO Commerce, Creative Converting, Darigold, Fender Musical Instruments, Guthy-Renker, Hearth & Home Technologies, HON Furniture, HP Hood, Interline Brands, Johnstone Supply, Mary Kay, Mercer, Orgill, Publishers Clearing House, Restoration Hardware, Strategic Market Alliance, US Foods, and W.B. Mason. Learn more at http://www.enterworks.com. 1WorldSync™ is the leading provider of product content solutions, enabling more than 25,000 global companies in over 60 countries to share authentic, trusted content with customers and consumers, empowering intelligent choices for purchases, wellness, and lifestyle decisions. Through its technology platform and expert services, 1WorldSync provides solutions that meet the diverse needs of the industry. 1WorldSync is the only product content network provider and GDSN Data Pool to achieve ISO Certification 27001. For more information, please visit http://www.1worldsync.com. Convipay Inc. Becomes Vendekin Technologies Inc.